Are there free VPN for RaiPlay? Rai is the Italian national public broadcasting company, which recently offers a great collection of video-on-demand on its online platform RaiPlay.it. 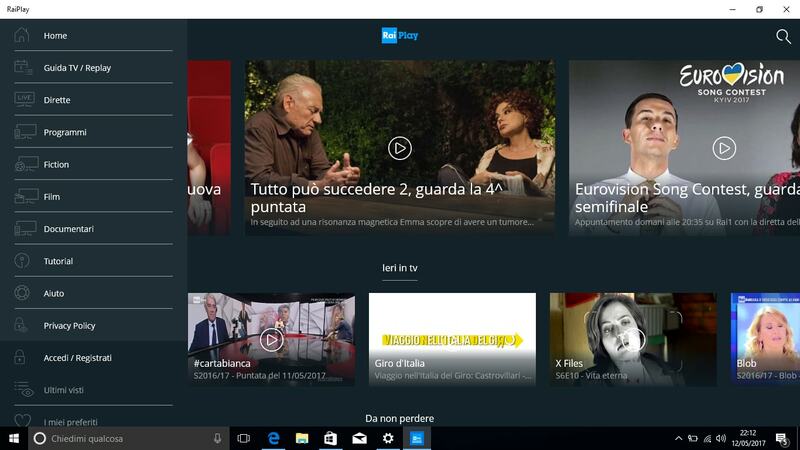 RaiPlay provides a wide range of Italian language transmissions, including documentaries, TV series, shows, movies, kids’ shows, theater, music, and much more. Unfortunately, there are some geographical restrictions imposed on the site, which means you must have and Italian IP address to access to RaiPlay. The easiest way to overcome this obstacle is with a VPN. A Vpn (Virtual Private Network) is private virtual tool that switch the origin of the internet traffic. In this case you have to connect to a VPN Italian server, which will change your web traffic address into an italian one. With VPNs, you only need to create an account by using your email address – or the social login – to access to RaiPlay programs. Moreover, you can view the RaiPlay content on multiple platforms, including on your computers. On the internet you can also find some “free VPNs”, but they are not completely free, so after a limited period they will ask you to pay. Otherwise, there are other free VPNs that keep traffic logs on the users, violating somehow the privacy policies or, even worst, infecting your pc with malwares. ExpressVPN has over 1.500 servers in 94 Countries, which are the best in speed and reliability. This is what makes the difference between this app and those you can find online for free. With this tool you will easily enjoy all your favourite Rai programs in HD. The app is available for Windows, MacOS, iOS, Android and Linux. This tool runs 1.000 servers in more than 60 countries. There’s only one server in Italy, but it works efficiently, so it’s easy to watch Rai HD programs without interruptions. It also unlock other popular streaming networks, such as Netflix and Hulu. On NordVPN website you also find tutorials to install this VPN on every platform. NordVPN is available for Windows, MacOS, iOS e Android. IPVanish has 10 servers in Milan and another 850 in over 60 countries. With a very user-friendly interface, the streaming works perfectly in HD and the company keeps no traffic logs on its server, ensuring to protect your privacy. This platform supports Windows, MacOS, iOS and Android. This is the premium version of the popular free VPN. With 36 servers only in Italy, CyberGhost Pro will not reduce your Internet speeds once your connection has been routed through its servers. It has 3.000 servers in 59 countries. The VPN works on Windows, MacOS, iOS, Android and linux. PrivateVPN is a young company that offers excellent service and has given extremely positive results in the last years. So you can watch on this platform all the Rai programs in high quality, and connect 6 up to 6 devices at the same time with a single subscription. The app is available for Windows, MacOS, iOS e Android. Now you only have to find the best VPN for you and try to use it to watch all the RaiPlay programs wherever you are. This applications are to be tried, we cannot guarantee that every VPN will be the right one for you, but you can try some of these and see what happens, maybe you’ll find out that watching RaiTV from outside Italy it’s easier than you thought!